Enjoy heights? This is your ultimate package to explore the most of the skyline in Munich. 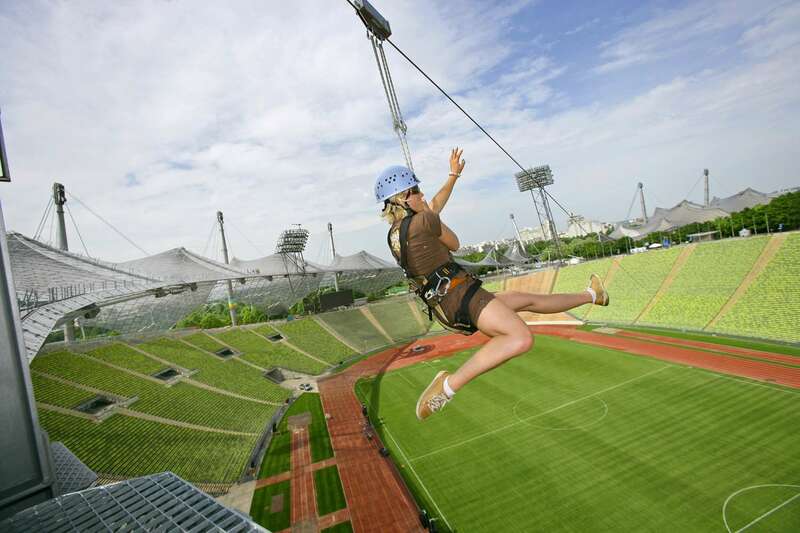 Climb the roof of the Olympic Stadium and get a feeling of what it was like to be part of the 1972 games and after enjoy their imfamous zip line to top up your skyline experience for a day. You better be safe than sorry and make sure you are not scared of heights so you can enjoy this ultimate experience of how things look from a few meters above the ground. Suffice to say, they are smaller than one consider them to be.